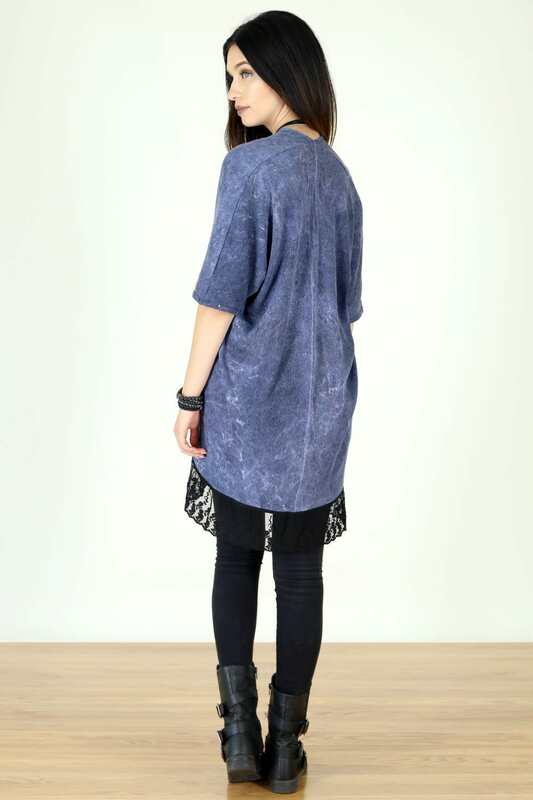 Boho Acid Washed Rib Cotton Kimono. Made from super soft cotton rib and acid / mineral washed for a perfectly unique look. Wears like your favorite vintage t-shirt but so much cuter! Super flowy and breezy, with cotton crochet lace around the hem, a very vintage feel.